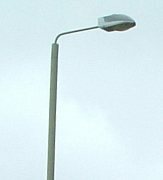 The council has been, for some time, busy upgrading its street lighting to newer, more efficient LED equipment to save electricity and lower the maintenance costs of the borough’s lamp posts. Next week (w/c 17th June) work will begin in Queensway, Monarch Close, Lime Tree Walk, Cherry Tree Walk and Princes Way. Domestic electricity supplies will not be affected. The upgrade programme across the borough will save an estimated £650,000 per year. A fresh planning application as been submitted for the site of the former Hayes Place sheltered housing flats between Bourne Vale and Chilham Way. The plans (available here) are for twenty-six houses and eight flats – the latter designed for elderly residents following a number of discussions between your councillors and Affinity Sutton over the last couple of years. The latest plans do represent a reduction of seven houses, and a redesigned layout including more green space in front of the houses, which are now all semi-detached. However, we, and no doubt residents and the HVA, will be examining the plans closely before the proposals are brought to committee. We have received some good news regarding the long campaign to improve safety for those crossing the A232 Croydon Road near Hartfield Crescent. TfL, as promised earlier this year, are about to begin traffic studies of this stretch of road with a view, hopefully, to bring forward some viable engineering solution(s). We and the Wickham Common Residents Association will continue to keep a close eye on matters. A take-away food outlet planned near the top of Station Approach (no. 66a) has been refused. With so many food outlets of various types already at that end of the road, we are concerned that a saturation point would be reached. The council agreed, and also cited concerns around noise, disturbance and smell nuisance.